Home → About Us → What are special needs? What are special needs anyway? Here is how I see it: all children are special and all children have needs so basically all children have special needs. We are a society of labels…what is yours? ADD, ADHD, OCD, ASD, PDD, and the list goes on and on and on! What if some of these charming “man-made” labels were focused on the strength of the child (or adult) verses their weakness? What if instead of ADHD/Attention Deficit Hyperactivity Disorder, they called it CMMA/Creative Multi-Thinking Movement Ability? How cool would it be for children to see themselves as creative thinkers who learn through movement verses seeing themselves as not being able to sit and focus for a solid 45-50 minutes in a chair requiring teacher-guided thinking? The term “special needs” encompasses a whole array of children – children with dyslexia or other learning disabilities; children anywhere along the Autism Spectrum; children with severe multiple disabilities; gifted children with extremely high IQ’s; developmental delays secondary to health conditions; Apraxia and other speech deficits; dysgraphia and other fine motor deficits; visual processing deficits triggering an array of reading, writing and coordination issues; anxiety-driven learning challenges; genetic abnormalities encompassing a whole array of syndromes… The list is endless. Where does your child land and does it matter? Of course, it matters in some regard, but what matters most is we are all human beings created uniquely by one amazing creator with value and purpose! It disturbs me when a child identifies him/herself by a diagnosis. Each of us is blessed with strengths and challenged with weaknesses, but where is our focus? 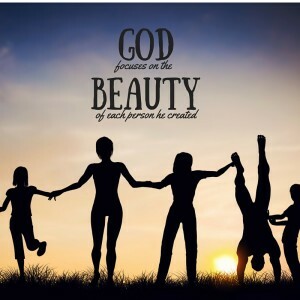 I am pretty confident that God focuses on the beauty of the person He created. It is my hope that each child, each person views him/herself through God’s eyes rather than the eyes of man.